i.e., COMMON MALLOW (Malva sylvestris) This has been a plant used to decorate graves (Drury. 1994). In spite of the extraordinary belief that "in the month of February, eat no pottage made of hocks, for they are venomous" (Dawson. 1934), mallow leaves are perfectly edible, either boiled like spinach, or better, for they are very glutinous, made into soup. In Arab countries, the leaves of an almost identical species are the basis of the famous soup, melokhia (see Mabey. 1972 for receipt). Mallow's medicinal uses are many and varied, and some are quite ancient. The Anglo-Saxon version of Apuleius lists a number of leechdoms, some of which were still in use hundreds of years afterwards. They include one "for sore of bladder" (Cockayne), for which about a pound of the leaves would be needed. Directions follow, but it is really only mallow tea that is to be taken. One can take note of an "Account of a large Stone voided through the Urinary Passage by a Woman", communicated by D Richard Beard, FRS, Physician at Worcester, and published in the Philosophical Transactions of the Society in Jan/Mar 1727. "A poor woman in the parish of Fladbury in this County .was afflicted with the normal symptoms of a Stone in the Kidnerys, and afterwards in the Bladder ... Finding relief ... by a plentiful use of Mallow tea ...". The Anglo-Saxon Apuleius also prescribed mallow for "sore of side", and also for "sore of sinews". Sprains, perhaps? Certainly sprains in both humans and animals used to be treated in Dorset by steeping the leaves in boiling water and using the result as the foundation for a poultice (Dacombe). Ulcers were treated in Somerset either with an infusion made by pouring boiling water on the leaves, or simply using them as a poultice (Tongue. 1965). Boils, abscesses and the like were dealt with by a compress made from the decoction (Fluck), perhaps as a matter of common knowledge - they were certainly treated that way in the Highlands of Scotland (Grant), and in East Anglia (V G Hatfield. 1994), and also as far away as the Greek island of Chios (Argenti & Rose), where mallow was also used for throat, chest and stomach ailments. 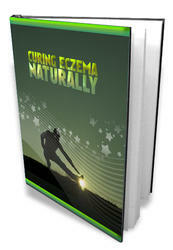 Eczema can be treated with a compress made from the leaves or flowers. Gerard was quite enthusiastic about the virtues of mallow leaves. They are good, he says, against bee or wasp stings, even "the stingings of Scorpions", and "if a man be first anointed with the leaves stamped with a little oile, he shal not be stung at all ...". One prescription from the Welsh text known as the Physicians of Myddfai, is for piles. It required the mallow to be boiled in wheat ale or in spring water. It is reported from Norfolk that children used to chew the fruits as a laxative (V G Hatfield. 1994). According to Somerset practice, varicose veins could be treated with an ointment made from mallow roots and unsalted lard, a treatment equally useful for sore feet (Tongue. 1965). The mucilage of the plant was, and probably still is, used in Cornwall to relieve diseases of the chest, intestines and kidneys (Deane & Shaw), while the kidney ailment known as Bright's Disease was treated in Ireland with mallow juice (Maloney). In both Somerset and Wiltshire, mallow is called Dock, or Round-dock. According to both Akerman (for Wiltshire), and Jennings (for Somerset), it is mallow that is the anti-nettle sting leaf in this area, and not the convenient species of Rumex that the rest of England uses. (Mammea americana) This is an evergreen tree with edible fruit from the West Indies and central America. The flowers are used in the making of a liqueur known as eau de Créole (Willis). In Jamaica it was reckoned to be extremely unlucky (fatal, in fact) to plant the seed (Folk-lore. vol 15; 1904 p 94, in a series of papers called Folk-lore of the negroes of Jamaica).